THE WORLD CANVAS WALL ART home decor, jewelry, decor, decorations, electronics, fountains, floor mats, art glass, vases, garden essentials, fireplace screens. A fir wood frame is covered with a colorful canvas that will remind you daily of your importance in the world. 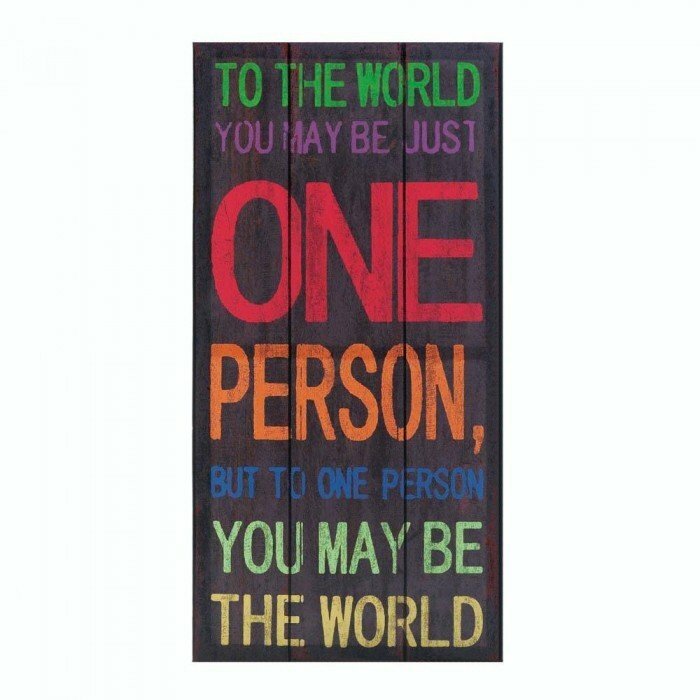 The black background features multicolored text that reads, "To the world you may be just one person, but to one person you may be the world". Material(s): CANVAS WOOD - FIR. Weight 1 pound. Dimensions 15.8" x 1" x 31.5".